BSc in Engineering (mechanical/Production). 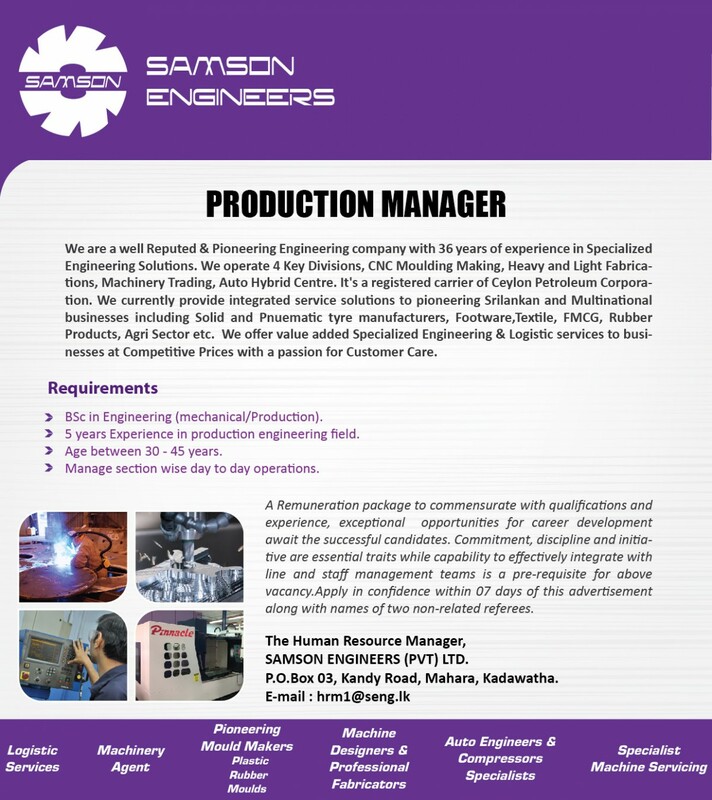 5 years Experience in production engineering field. Age between 30 - 45 years. Manage section wise day to day operations.